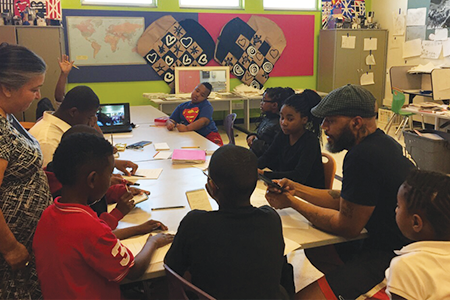 The Club offers programs that empower youth to become leaders, sustain meaningful relationships, develop a positive self-image, participate in the democratic process, and respect their own and other cultural identities. 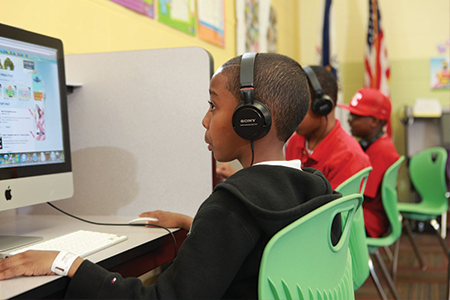 These programs enable youth to become good students, apply learning to everyday situations, and embrace technology to help them get and keep a job. Classes are held once a week throughout the school year: College & Career Readiness, Financial Literacy, & Character Counts. Older Club members participate in the College & Career Readiness Program as a requirement to becoming paid Junior Staff Members at the Club. The program consists of classes in College Readiness, Workplace Attitude, Responsibility, Communication, Problem Solving, and Preparing for the Workplace. Preparing for the Workplace covers both standards and responsibilities while working at GSGBC as well as resume building, interview skills, and job search advice. As Junior Staff Members, job responsibilities include: program support (tutoring; serving as group leaders for academic activities; athletics and recreation coaching and assistance; serving breakfast, lunch, and snack as part of the Healthy Lifestyles Program; facilitation of programs by guiding members to program areas), mentor ship, and janitorial and maintenance duties (cleaning after meals, end of day cleaning). In 2013, GSGBC became a Summer Employment Site through STL Youth Jobs, a project sponsored by the Incarnate Word Foundation, Deaconess Foundation, MERS Goodwill, Mayor Slay, and others. 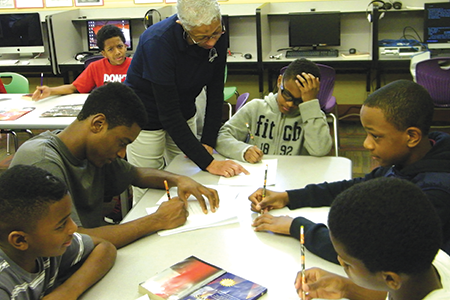 The Club offers Financial Literacy and Budgeting classes to members of all ages. Volunteers from Wells Fargo Advisors teach these classes. Topics include Pay Yourself First (saving), Check It Out (checking), Borrowing Basics, Charge it Right (credit cards), and Loan to Own. Learning good financial habits at an early age can make a huge impact on an individual’s ability to budget and save money later in life. Youth participating in the College & Career Readiness Program are required to attend Financial Literacy classes before they receive their first paycheck from the Club. 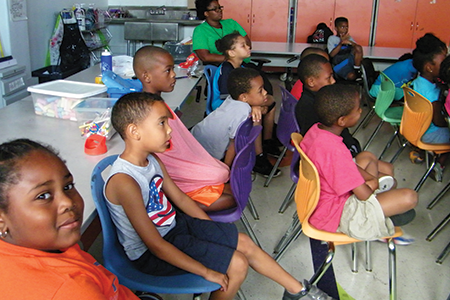 Character Counts Clubs meet two times each week during the Summer Program with members placed into age appropriate groups as follows: grades K–5, grades 6–8, and grades 9–12. Also as part of Character Counts Clubs, kids in grades 4–8 receive additional instruction that focuses on teaching decision-making skills and being aware of and avoiding risky behaviors. It presents youth with scenarios that allow them to apply the lessons learned through role-playing. Learning modules focus on: Substance Abuse Prevention, Violence Prevention, Bullying Prevention, Health and Nutrition, and Resources for Parents. Youth ages 12 and older view a video series called “The Power of Choice” and participate in discussions around the following topics: Self-Esteem, Coping with Pressures, Drugs and Alcohol, Drinking and Driving, Sexual Activity, Friendship and Dating, Communicating with Parents, and Raising Your Parents.